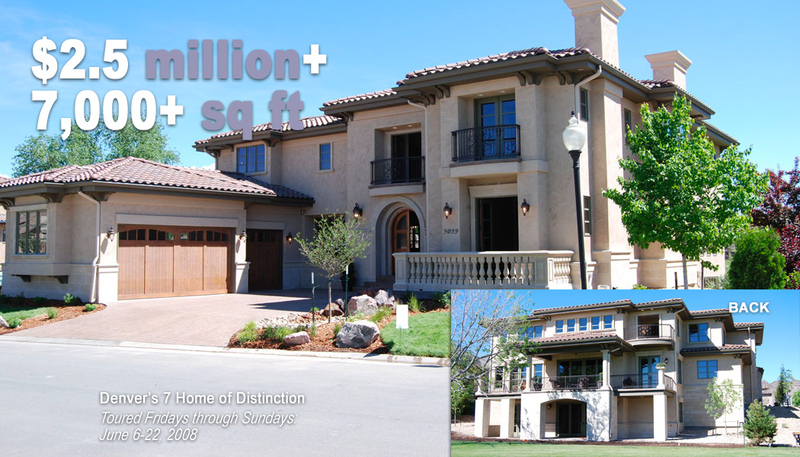 Denver’s 7 Home of Distinction was showcased to approximately 600 people in the Denver area. Each of the tour guests were in awe of the amazing craftsmanship and beautiful detail that went into constructing this masterpiece. Birch Street Group built it using the finest building products in Denver. The following companies - the Dream Team - played a key role in creating this beauty: A Touch of Tile - Tile; Albertson’s - Official Grocer; AyA Kitchens of Colorado - Cabinets; Bank of Choice - Finance; Birch Street Group - Builder; Certified Home Services - Windows; Cherry Creek Country Club - Developer; Ferguson Enterprises - Plumbing Fixtures; Foothills Lighting & Supply - Lighting & Fans; and Morning Star Elevator - Elevator. THANK YOU for being a part of this exciting home and unique opportunity.